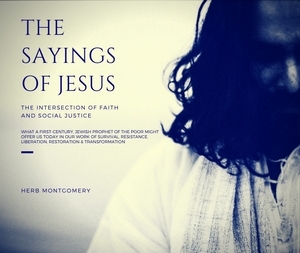 We’ve updated our Sayings of Jesus series! Last weekend, I was invited to share a weekend of presentations from our Sayings of Jesus series at the Good News Fellowship church in Toronto. It was a fantastic weekend of seeing old friends as well as making new ones. This was my first time speaking to the Good News Fellowship congregation, and one thing I was super impressed with was their concern for the wellbeing of others and their willingness to engage the work of listening to the voices of those who inhabit a different social location than one’s own. This congregation’s willingness to entertain different perspectives on social issues, especially the perspective of the more vulnerable sectors of our society, was refreshingly beautiful. I was hosted by my dear friends Andrew Dykstra and Jerry McKay. They were so kind and generous, touring me around their city of Toronto outside of the times I was scheduled to speak. They introduced me to all of their favorite things about their beloved city. It was wonderful time, and I’m deeply grateful for their hospitality. We have updated our Sayings of Jesus series on our website with the presentations from last weekend. I feel they are the most easy to understand versions of these topics presented to date. It’s my hope that as you listen, your heart, too, will be renewed and that you will be inspired to take action as we, together, allow the sayings of Jesus to inform our work today of survival, resistance, liberation, restoration and transformation, till the only world that remains is world where only love reigns. Every amount helps. We could not continue our work without you. Together we are making a difference. Thank you to the Good News Fellowship congregation for your invitation and for hosting such a beautiful and transforming weekend. And thanks to each of our donors for supporting this ministry. I appreciate each of you, dearly.